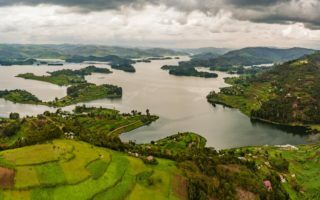 Want to visit Bwindi gorillas and game animals in Queen Elizabeth National Park? 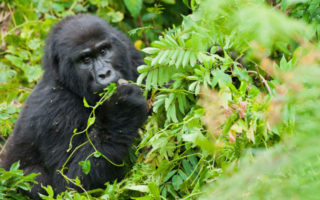 This 5 days gorillas & wildlife safari will take you gorilla trekking in Bwindi impenetrable forest and game viewing in Uganda’s most popular national park; Queen Elizabeth National Park. The tour starts and ends in Kigali, Rwanda but can start and end in Entebbe or Kampala too. Beginning this safari from Kigali will save you money and time as it is just 4 hours from Kigali to Bwindi. 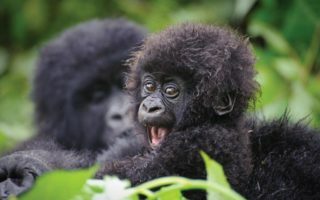 This 5 day tour starts with gorilla trekking and ends with wildlife watching. Alternatively, you can customize it to begin with wildlife watching and end with gorillas. Accommodation options include budget, mid-range and luxury hence, you can request for the level of travel that you want. Please see detailed itinerary below. 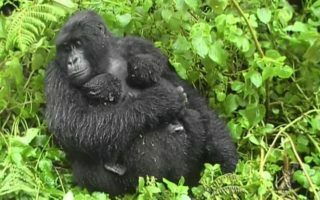 After breakfast at your lodge, a tour guide from our gorilla trekking company will pick you up and take you for a Kigali city tour, visiting places like the genocide memorial monument, Caplaki crafts village, Kimironko market and after transfer you to Bwindi Impenetrable National Park in Uganda. When you reach Bwindi, you will check in to your lodge and relax as you get ready for your Uganda gorilla trekking encounter the following day. 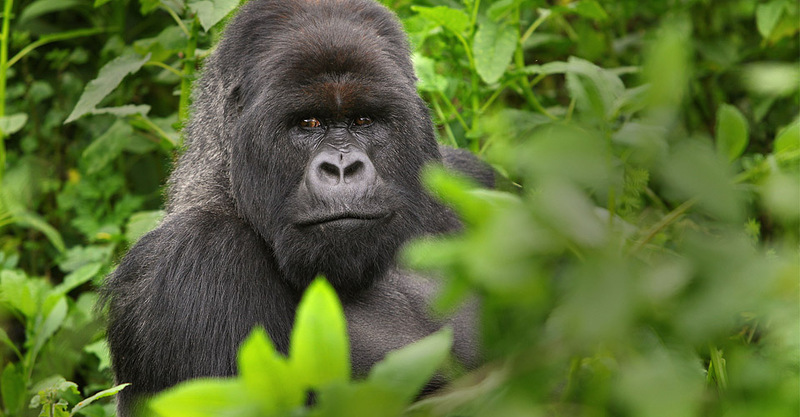 Overnight at Clouds Mountain Gorilla Lodge (Luxury) and Ichumbi Gorilla Lodge (Mid Range & Luxury). Wake up to a heavy early morning breakfast meal and drive to the park headquarters for a briefing session before taking your respective trail to meet the gorillas in their natural habitat. 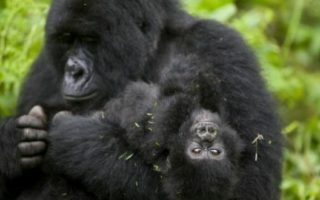 The trek could last up to 8 hours depending on how long you take to meet the gorillas. This time includes a full hour encounter with these primates. 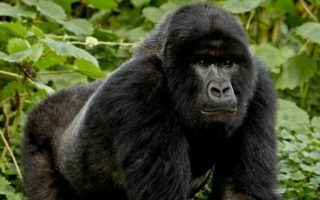 After meeting gorillas, you will return to your starting point to pick your respective gorilla trekking certificates and head to your lodge after for relaxation, dinner and an overnight. Overnight at Clouds Mountain Gorilla Lodge (Luxury) and Ichumbi Gorilla Lodge (Mid Range & Luxury). After an early morning breakfast meal, you will embark on a transfer to Queen Elizabeth National Park in Kasese. Popularly known as Uganda’s most popular national park, Queen Elizabeth National Park is a haven for game viewing. It has a high concentration of lions, elephants, buffaloes and shelters the only tree climbing lions in Uganda. When you reach the park, you will proceed to your lodge for an overnight. Overnight at Mweya Safari Lodge (Luxury), Park View Safari Lodge (Mid-Range) or Pumba Safari Cottages (Budget). Wake up to an early morning breakfast and head for a morning game drive. You will visit several areas during your game drive including the Kasenyi Trails, the prime area for game viewing in Queen Elizabeth National Park. On this drive, you will see animals like Elephants, Giraffes, Buffaloes, Lions, Warthogs, Bush Bucks and several other species of mammals. After this thrilling morning game viewing drive, you shall return to the lodge to freshen up and relax as you wait for your afternoon activity. After lunch, you will head for a boat cruise on Kazinga Channel where you will see animals like Hippopotamuses, Crocodiles, several aquatic animals along with land mammals hydrating at the banks of the lake. After this lifetime boat cruise, you shall return to your lodge to relax. Overnight at Mweya Safari Lodge (Luxury), Park View Safari Lodge (Mid-Range) or Pumba Safari Cottages (Budget). Early morning after breakfast, your guide will take you for a morning game drive as you exit Queen Elizabeth National Park and transfer you to Kigali where you will get dropped at your hotel of your choice or perhaps at the airport for departure.